Fawn is a middle school math teacher at Mesa Union Junior High in southern California. Teaching since 1990, she was the 2014 Ventura County Teacher of the Year and in 2009, she received the Math Teacher Hero award from Raytheon. In 2005, she was awarded the Sarah D. Barder Fellowship from the Johns Hopkins Center for Talented Youth. Fawn is serving a three-year term as a committee member of NCTM’s Professional Development Services Committee (PDSC) during 2015-2018. Creator and curator of www.visualpatterns.org, http://www.between2numbers.com and http://www.mathtalks.net/teachers.html. ​Check out Fawn's blog at http://fawnnguyen.com. Mary teaches mathematics at West Carleton Secondary School in Ottawa. She is a strong advocate of the appropriate use of technology in the classroom. She connects with other educators via Twitter (@MaryBourassa) and learns everyday from others' blogs. 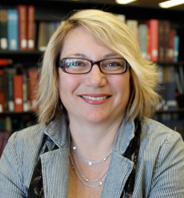 She has presented internationally, authored mathematics resources, is a past VP of OAME and a Past President of COMA. Winner of several awards from NCTM and OAME, Mary continually strives to learn new and better ways of helping students learn and love mathematics. 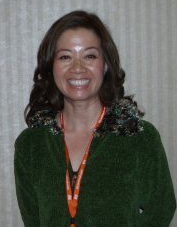 Marian Small is a leading Canadian mathematics educator and a regular speaker on K–12 mathematics throughout Canada, the US and around the world. Marian is the former Dean of Education at the University of New Brunswick, and has been involved in mathematics education for a long time. She is author or co-author of over 100 math textbooks and professional books on math teaching including, most recently, Fun and Fundamentals: Playing their Way to Strong Math, K-2 (Teachers College Press); Making it Happen: How Can a School Leader Build Math Capacity and Math Performance in a School? (ASCD), and MathUp : Classroom (Rubicon Publishing): a digital resource to help Ontario teachers teach math effectively. Cathy Bruce is Dean of the School of Education and Professional Learning and Director of the Centre for Teaching and Learning at Trent. With 14 years of classroom teaching experience and 11 years in academia, Dr. Bruce is passionate in her conviction that all learners are capable of success in mathematics, from the young student to the experienced educator. As an Associate Professor, she teaches and conducts research with a collaborative team known as TMERC. In 2013, Dr. Bruce received the prestigious Ontario Colleges and University Faculty Association Teaching Award for teaching excellence and innovation. You can explore some of Dr. Bruce's research projects at http://tmerc.ca/research/.